Description: A perennial, reed-like herb, cardamom grows wild and is cultivated in India and Sri Lanka. It grows up to 4 meters (13 feet) and has long, green silky blades, small yellowy flowers, with a violet tip and a large fleshy rhizome, similar to ginger. Oblong gray fruits follow the flowers, each containing many seeds. Aromatic Scent: Cardamom Essential Oil is sweet, spicy and almost balsamic in fragrance. Common Uses: Because of its chemical constituents, Cardamom has been found to be particularly helpful for the digestive system, working as a laxative and soothing colic, flatulence, dyspepsia and even nausea caused by pregnancy. As a massage oil or diluted in the bath, cardamom oil has been prescribed by aromatherapists to assist with the digestive system and as a general tonic. 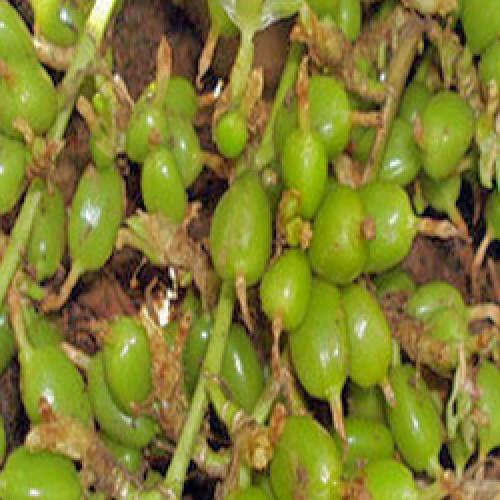 History: Cardamom was well known in ancient times. The Egyptians used it in perfumes and incense and chewed it to whiten their teeth. The Romans used it for their stomachs when they over-indulged. The Arabs used it ground in their coffee. It is an important ingredient in Asian cooking. Cardamom is particularly helpful for the digestive system. It works as a laxative and soothes colic, wind, dyspepsia and nausea, even nausea caused by pregnancy. It warms the stomach and helps with heartburn. As a massage oil or diluted in the bath, cardamom oil can assist with: digestive system, coughs and be used as a general tonic.